After payment, the buyer immediately receives an OFFICIAL activation key for 1YEAR / 1 PC REGION FREE for Webroot SecureAnywhere AntiVirus. 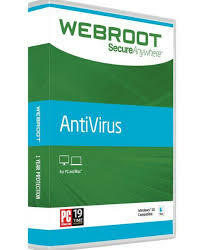 The key activates all versions of Webroot SecureAnywhere AntiVirus in all languages and does not have a regional binding. The subscription validity period can be seen by registering the key in your account. If you do not have an account, you need to create it. The key validity period is considered from the moment of purchase !!! Webroot AntiVirus SecureAnywhere-cloud-based antivirus and antispyware for quick and easy protection against viruses, rootkits and spyware. Includes firewall, personal data protection, Web protection against malicious Web sites and online threats. to work, you must have an active Internet connection. • Protection of Windows-based computers and Mas OS X. • Webroot Antivirus SecureAnywhere includes several levels of protection, which, as a rule, only integrated antivirus Internet Security class. We take full responsibility for the goods sold and 100% guarantee the validity of the code.